CDPAP 2019 - Don't Do CDPAP Until You Read This First! In this article, we’ll learn a great deal about CDPAP, starting from the history of CDPAP at its inception until how it evolved into the type of program it is today. We’ll also go through all of the benefits of being enrolled. Additionally, we’ll provide the basic information about who qualifies for receiving the care, and who can be a CDPAP home care provider. Finally, we’ll detail how to get the process started with CDPAP, and how it can be managed after the initial eligibility is authorized. Besides a comprehensive article on virtually everything you would want to know about CDPAP, we also included several questions after each section for your convenience. This will also help to summarize each of the sections regarding CDPAP information. 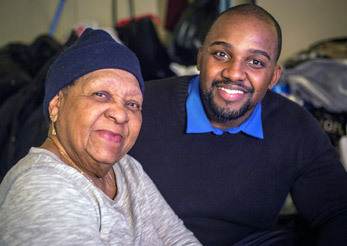 CDPAP, or the Consumer Directed Personal Assistance Program, is a New York State Medicaid initiative that helps people who require home care services with additional ways to receive their care. Instead of outside parties making most or all of the decisions regarding who provides the home care, people who qualify for CDPAP, or the ones in charge of their healthcare, can make them instead. Not only are the decisions regarding the health care decided by the consumer, but even if the personal aide chosen is a family member (as long as they are not the patient’s spouse), the aide can still receive compensation for the health care provided. In essence, one of the benefits of the CDPAP program is that it enables patients or their designated representatives to pay most adults to take care of their friends and family. This program gives health care consumers the right to have people who they’ve known for years assisting them in various health related ways, while at the same time, knowing that these aides are being compensated for their time and effort. The payments and benefits for the Personal Assistant are handled by a fiscal intermediary. This Medicaid program goes back many years. In 1977, advocates of improvement in the home healthcare industry started sending strong messages around New York State and to its legislative bodies. They argued that elderly, sick and disabled persons needed to be in the driver’s seat when it came to how their health care was provided, and more specifically, by whom. Until that point in time, people who needed significant health assistance were very limited. Whether it meant being sent to institutions, rehab centers in poor condition, or being provided with subpar home health care, the situation seemed very bleak at the time. With the subsequent advocacy and awareness provided to the public and many lawmakers, things started to change for the better for many healthcare consumers. As early as 1979, people throughout the state of New York saw plans created by various healthcare conscious groups. These groups stressed that significant decision making about home healthcare provided by insurance companies and government programs like Medicaid, should be made by the consumers themselves, as opposed to the insurers and government themselves. A. The initial ideas date back to the late 1970’s, with 1979 being the year the movement started to really gain steam. Finally, in 1992, the New York State Department of Health took over these private home healthcare programs, and named it the Patient Managed Home Care Program, which was renamed three years later the “Consumer Directed Personal Assistance Program,” or “CDPAP,” as we know it today. Right before the year 2000, CDPAP boasted over 1000 consumers involved with the program. By 2002, more than three quarters of county health departments had active CDPAP services, and by 2008, there were increases of 60% participation in CDPAP. The numbers enrolling in CDPAP continue to grow each year. 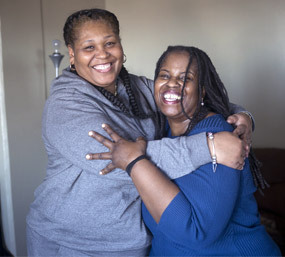 With continued success, the State of New York expanded CDPAP services, including having government health counselors guide potential consumers to determine whether they were in fact eligible for the program. Subsequently, the scope of who could be a CDPAP Personal Assistant was expanded and included almost any adult who the consumer requested. These days, every county must offer CDPAP services, and must let any resident know if they are eligible for the program. But more importantly, beginning with the 2012 State-wide move to managed care, enrollment with the program has expanded even more significantly, with most consumers receiving CDPAP services through managed care organizations (MCOs), rather than through social services districts. Q. When were CDPAP programs first legislated? A. The first program was introduced in 1992, and three years after it was renamed CDPAP. Q. Is the CDPAP program gaining momentum? A. By the turn of the millennium, there were more than 1000 people who joined the CDPAP program, and each year since then has seen significant percentage increases in participation. By now, every county health department and every MCO provides CDPAP services. As was noted above, in the past, when someone required home care health services, or was already having them provided, it was usually the health agencies or private vendors who would make a majority of the pertinent decisions regarding the consumer’s care. This may have included, but was not limited to, the selection of who the aides providing the service would be, scheduling when these aides would come and provide those said services and providing the necessary training for the aides. According to CDPAP guidelines, either the consumer or the one designated to supervise the consumer’s care, which is called, in the language of the program, their designated representative (“DR”), are the ones that make the healthcare decisions, though it is they who bear all responsibility. The consumer or DR can decide who the aide or Personal Assistant will be, and what the ideal schedule will work for both of them. They also will decide which services will be provided by the CDPAP Personal Assistant. The consumer or DR is responsible for finding the potential Personal Assistant candidate and having them go through the application process. Though it provides the consumer with the ability to choose nearly anyone they want as the Personal Assistant, it means that they can’t just rely on some preorganized list of candidates. Training must also be provided to the potential aide, and is the responsibility once again of the consumer or DR. Besides for the consumer being given the ability to decide who’s hired to provide them with home health care, they are also the one to monitor the one chosen, and if need be, to terminate them as the Personal Assistant. These actions cannot be implemented by the insurance company or government agency without authorization by the consumer or DR. Remember, that without CDPAP, all of these decisions were primarily, if not entirely decided by the health care providers and nursing aide agencies. Q. What was home healthcare before CDPAP? A. Prior to the existence of the CDPAP program, instead of the consumer making most of the decisions regarding their care, it was the healthcare providers. Q. What decisions are now made by the consumer or the one responsible for their healthcare? A. They may decide who the Personal Assistant will be, what their schedule will be, and which services they’ll provide. They also handle any potential terminations. As was mentioned above, there currently isn’t a single county in the state of New York that doesn’t qualify for CDPAP. Not only that, but there are even rules requiring all mainstream Managed Care plans to include CDPAP programs whereby anyone who’s eligible is told about the opportunity for CDPAP home care provider eligibility. That translates into CDPAP possibilities for absolutely anyone who qualifies in the entire state. Additionally, even those who are unaware of the program, are guaranteed to be informed of it sooner than later. Q. Is any part of New York State not included in the CDPAP program? Q. How can one find out if they’re eligible for CDPAP? A. One can contact their county’s health department or FreedomCare (at 877.788.1586), the only fiscal intermediary which provides CDPAP services in all sixty-two Counties of New York State. Q. If one is eligible to receive home care services, does that exclude them from the benefit of the CDPAP program? ‍A. No, they can still join CDPAP. Arguably the biggest benefit of the CDPAP home care program is the scope of candidacy for who can be one’s Personal Assistant, as nearly any adult can be someone else’s personal aide. There are exclusions to the rule, i.e., who is already a designated representative of the one receiving the home care or the consumer’s spouse. It’s noteworthy to mention that parents of children under 21 may not personally be their Personal Assistant, though they may designate someone as their child’s Personal Assistant through the CDPAP program. And parents of disabled children over 21 years old may be their child’s caregiver as long as the other parent or a different party is the child’s DR. Eligibility for being a CDPAP Personal Assistant includes siblings, children, other relatives, friends, neighbors or even past personal aides. One’s legal spouse is excluded from being a CDPAP home care attendant in every circumstance. Q. Can anyone be a CDPAP Personal Assistant? A. Not everyone, but close to it. As long as they’re an adult, not the consumer’s spouse, not the consumer’s designated representative, and not the parent of a disabled child under 21 years old, one can serve as a CDPAP Personal Assistant. One of the many benefits of CDPAP is that it’s a Medicaid program, which means no extra cost to the beneficiary of the home care service. Once the individual requests a CDPAP Personal Assistant, all they need is to be on Medicaid and prove that they’re in need of home care, which is decided by their MCO based on a nurse’s visit and documentation from one’s doctor. The aide is paid by a fiscal intermediary (as explained later in the article), and there is no additional cost incurred by the consumer. Q. Does CDPAP cost anything for the consumer? A. No, all the consumer must do is be on Medicaid and be approved as needing home care. Anyone chosen by the consumer to be a CDPAP Personal Assistant can qualify, even without any prior education or certification in healthcare. All the training that’s needed in the provision of the healthcare of the consumer is completed on site by the consumer or his or her DR, so as to help facilitate the most efficient healthcare possible in the consumer’s home. The amount of hours the CDPAP Personal Assistant will need to work providing home care service will always be determined by the patient’s insurance company. While immigrants can qualify to be a CDPAP personal aide, they obviously must prove their legal status in the country and must provide all proper work authorization papers ensuring they are all up to date. All of this must be done before CDPAP services can begin. Besides for the potential CDPAP Personal Assistant needing to be a legal resident of the country, several health aspects relating to the aide must be met. The first is, that they must have taken a full physical examination with their doctor, including Tuberculosis testing (PPD or QuantiFERON) and proof of Measles and Rubella immunization within the past year. Q. Does one who seeks to become a CDPAP Personal Assistant require any prior healthcare education? A. No, all training in home care is provided to the potential candidate. Q. May immigrants serve as CDPAP Personal Assistants? A. Yes, provided that all their required papers proving their legal status are up to date. Q. Is anything also required to become a CDPAP Personal Assistant? A. Yes, a full exam by a doctor with TB test and proof of Measles/Rubella immunity must be submitted. Unlike classic home aides who are limited in the tasks and medications that they can administer, CDPAP attendants can do more, akin to nurses who must usually come to the house to do such tasks. Some of these actions include administering oxygen and injecting insulin into the consumer. One of the goals of CDPAP is to make home health care more efficient and more enjoyable for the consumer. Medicaid believes that with the consumer calling more of the shots, it will equal less turnover of the particular Personal Assistants providing care, translating therefore into overall better health care for the consumer, therefore also avoiding the need for a nursing home. It is also hoped that dealing with someone the consumer knows and trusts, will affect them on a health level. This means potential health issues or hazards can be caught at an earlier point, with the result of fewer hospital visits and a significant decrease in any potential complicated care. Q. What type of healthcare may CDPAP Personal Assistants take care of? A. CDPAP Personal Assistants can do nearly anything a registered nurse making a home visit can do including giving oxygen and injections. Guidelines are laid out to each Personal Assistant during their training by the consumer. Q. Are there any health benefits to the CDPAP program? A. Definitely. With the consumer choosing the Personal Assistant of their choice, less turnover will happen, and better healthcare will result. Additionally, having one’s loved one dealing with the consumer’s healthcare may mean better care at home and less hospital visits. If an agency is interested in becoming a CDPAP fiscal Intermediary, they must first contact the DOH and submit an application for initial authorization (licensure). This office will decide whether they want to authorize the agency to provide fiscal intermediary services. Once that clears, guidelines are provided to the candidate, and the individual or agency must then be in touch with the Bureau of Long Term Care Reimbursement where a Health Provider Network (HPN) account is assigned. The fiscal intermediary will need to contact MCOs to request a contract and establish their reimbursement rates. If the agency/individual is not enrolled as a Medicaid provider, they must also contact the Division of OHIP Operations, Bureau of Provider Enrollment to gain a provider ID number. The Department of Health is very strict about the fact that all of these steps be fulfilled before any fiscal intermediary may enter into contracts with MCOs and provide fiscal intermediary services. The state government is constantly working on getting this process to be streamlined to allow more agencies to become fiscal intermediaries. Q. What steps are needed to become a fiscal intermediary for CDPAP? A. They must complete an initial authorization application, contact the Bureau of Long Term Care Reimbursement to establish a Health Provider Network account, and enter into contracts with MCOs to establish a reimbursement rate. If they are not enrolled as a Medicaid provider, they must contact the Bureau of Provider Enrollment to become one. Q. Can an entity contract with a managed home care company to provide fiscal intermediary services before going through the above steps? A. No. The New York State Department of Health only allows a fiscal intermediary to contract with plans and service consumers once all of their paperwork is completed. If someone who already receives home healthcare, or thinks they need it and wants to see if they qualify for CDPAP personal home caregivers, they have to be in contact with a fiscal intermediary. Consumers living in all t counties in the state of New York, and all residents of New York City must complete an enrollment process. If they have their DR making the decisions, then the DR must be the one to complete the enrollment process. 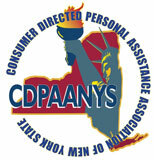 Managed Long Term Care or the New York State Department of Health will make the decision whether the consumer is eligible for the CDPAP program. Q. How does one apply for the CDPAP program? A. One should contact their county health department to sign up for CDPAP. Q. What’s involved in the process of becoming part of the CDPAP program? A. The consumer or the one making the health-related decisions for the consumer must complete the enrollment process, after which the consumer’s MCO makes the final decision on the eligibility for the CDPAP program. Healthcare is constantly changing, due to the needs and concerns of patients and consumers country wide becoming more complex by the day. While several decades ago, no one could have even dreamed of home healthcare being so easily accessible, the efforts of many individuals helped to effect lasting reform in that arena. CDPAP is just one of the many examples of the healthcare industry changing to meet the needs of the many home-bound consumers who want to customize their home healthcare experience. From the ability to choose from an almost infinite pool of candidates to provide healthcare at home, to the Personal Assistants themselves getting paid through neutral fiscal intermediaries, it’s no wonder that CDPAP has taken healthcare to the next level. With all of the benefits, it’s become a no-brainer for thousands of people who require healthcare in their own home. With CDPAP coverage across the state, more decision making in the hands of the consumer and all at no additional expense to the consumer, home healthcare has never been this enjoyable, and based on the reactions of the thousands already involved in the program, the results speak for themselves.